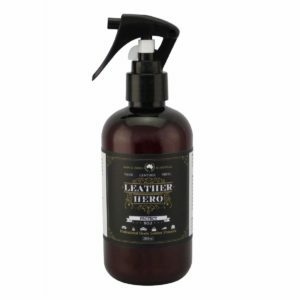 A luxurious leather conditioner lotion that helps to keep leather hydrated, soft and supple. Suitable for use on freshly cleaned auto, marine and furniture upholstery. Leather stays beautiful, cleaner, softer and lasts longer with regular applications of Leather Hero’s Nourish (No.3). 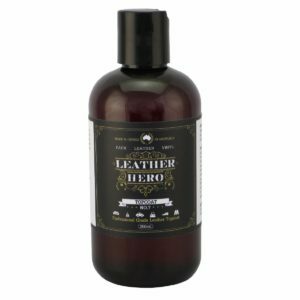 The perfect car leather conditioner, lounge conditioner and ideal for nourishing other leather items. Also available in a leather care kit. 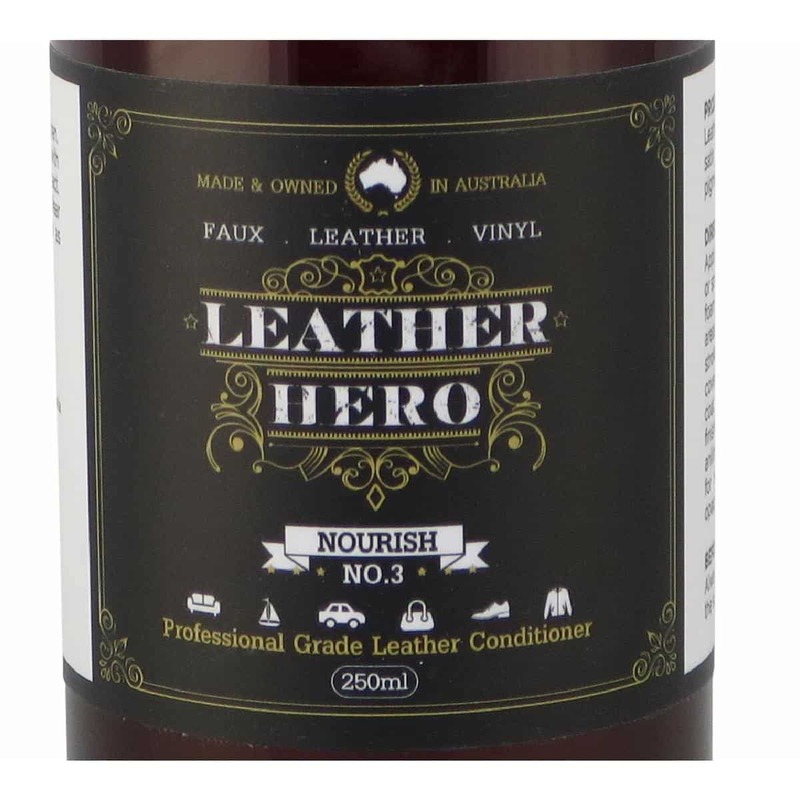 Leather Hero Nourish (No.3) puts back what harsh cleaning, UV exposure, acids, salt and everyday wear and tear takes out. Penetrating deep into your leather, this professional grade, luxurious conditioning lotion replenishes lost moisture, helping to prevent drying and cracking. Rich in natural waxes, Nourish (No.3) helps to keep leather soft and supple. 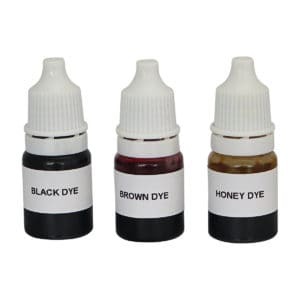 Excellent value, safe to use and beautiful to touch, this product is essential to your general care regime if you want leather that looks amazing and lasts longer.